All of these are essentially common sense and should have been considered even before bringing animals on to your land but how would you react if any of your animals became unexpectedly or seriously ill? 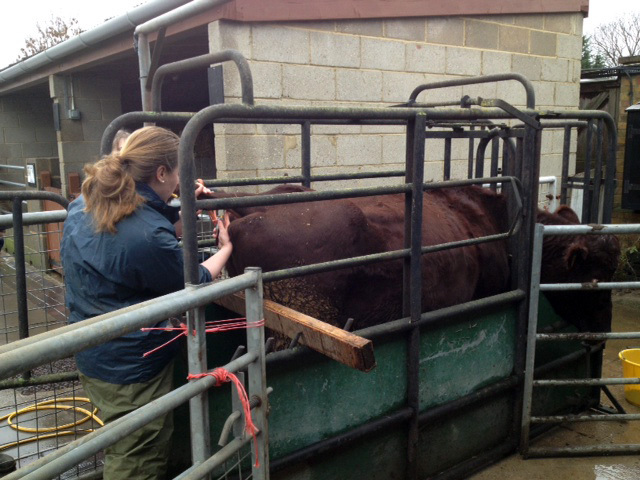 It is always good advice, when taking on animals for the first time, to gain some knowledge about their specific needs with regards to nutrition, environment and health routine and you will find courses available all over the country covering the full range of livestock types so it shouldn’t be hard to track down some suitable training. Apply the five freedoms in relation to your breed choice and you are well on the way to giving them the best chance of a healthy existence. Animals are creatures of habit so it is vital to observe their usual behaviour and routines as this can be the best indication of when something is wrong. Learn how to spot and deal with occurrences of the most common ailments and this will stand you in good stead. However, there will always be times when, though sheer misfortune or factors outside your control, your animals will need the attention of a professional veterinarian. For this reason alone one of the first things I would always impress on perspective keepers is to make sure there is a vet in the area with the specific experience you require. You might be surprised how few farm vets are available locally so you need to consider how quickly you can get to, or call out, help in an emergency. All practices will approach smallholders differently. Some will lump you in with the large commercial farm on their books whereas others will bear in mind the specific needs of small-scale keepers. The difference is where larger farms will be able to afford annual health and vaccination programmes due to their size smallholders will not usually be in a position to do so and this is where it pays to do your research. Try to find a vet that is happy to teach you how to perform routine maintenance tasks such as foot trimming, drenching or administering injections and one that is happy to give advice over the phone. Anything that may help you diagnose a potential problem quickly and efficiently can save time, money and unnecessary suffering. A good vet will also be able to advise on any health routines and vaccinations that should be administered in order to maintain health in your herd or flock. While there is no substitute for good husbandry there are also certain varieties of all livestock that are genetically more robust or resilient to disease. Do your research and perhaps select animals with these characteristics. Generalisations like – and this is only broadly speaking – ducks are more resilient than chickens and goats more than sheep are worth bearing in mind, but even within types there will be breeds that are more hardy than others. So what are you likely to encounter? Pigs, goats and poultry are the most popular livestock for smallholders although small flocks of sheep or herds of camelids are also becoming more popular. 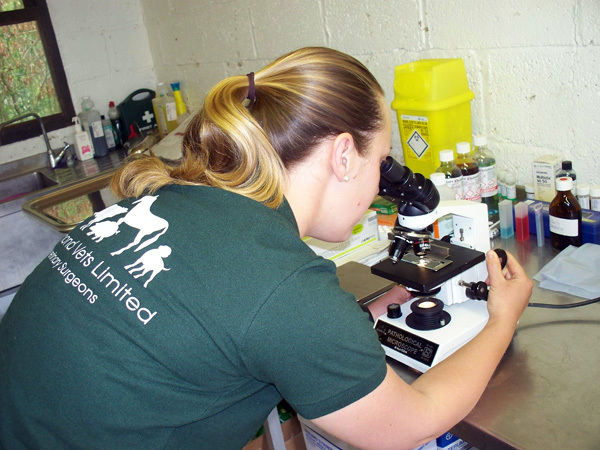 There are many, many diseases, infections and parasites that can affect you animals so I asked Lauren Hammond of Hammond Vets in Hertfordshire which she encountered most often. For all animals attention should be paid to ensuring we can control or manage the diseases we can do something about. One of the most common problems in livestock is parasitism/worms and we should make every effort to avoid a build up of intestinal worms. Regular faecal testing to assess worm egg counts is recommended and then a decision can be made on what is the most appropriate treatment or management procedure to implement e.g. changing to clean pasture whilst resting another. The only worms not detected in faecal samples are tapeworms and the risk and management of these should be discussed with your vet for each individual case. General maintenance includes worming, foot trimming and vaccination for clostridial disease (tetanus, pulpy kidney and lamb dysentery) as a minimum along with regular checks for external parasites. You should also be vigilant for flystrike and any general change in demeanour of your animals that could indicate illness. I have met farmers who have told me – not entirely in jest – that it is practically impossible to keep sheep alive but small numbers of the right breed are fairly easily managed and problems spotted early can often be dealt with effectively. 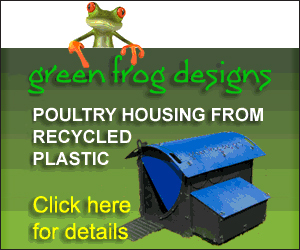 The main problem you will encounter with poultry, and chickens in particular, is red mite. These little pests live in the cracks and under the felt of your poultry houses and come out at night to feast on your birds’ blood. They can be difficult to shift but diatomaceous earth – a powder made from tiny prehistoric creatures – works well as a first line of defence. This can be spread liberally around the housing and/or dusted carefully directly onto the birds. There are many other preparatory remedies you can buy off the shelf but you may also consider alternatives to the traditional wooden coop, such as plastic, which tends to be less attractive to mites and is easier to clean in the case of infestation. The use of shredded paper instead of wood shavings as litter may also help reduce incidence. In cases of persistent or heavy infestation you vet may be able to suggest an alternative plan of action. There are, unfortunately, many other potential health problems associated with the various types of poultry. Respiratory diseases, crop problems and worms are common complaints but good husbandry and good veterinary advice will go a long way in keeping your poultry healthy. However, be prepared that should your birds be unlucky enough to contract a serious and fast propagating disease then, especially with large flocks, often the only recourse is to cull. If breeders are producing lots of birds they may vaccinate against the main diseases but this is only cost effective in large numbers so check when buying your stock as often this cannot be done when the birds are older. Although cattle are not the number one livestock for smallholders, there are several breeds that make it possible for small herds to be kept on modest amounts of land. Cattle are subject to routine government testing for bovine TB at varying time intervals depending on the disease risk in your area. You should check the testing timetable and visit the DEFRA website for practical suggestions on reducing risk prior to embarking on setting up a new herd. Also, with cattle it is sensible to invest in good handling equipment i.e. a crush or suitable race system (of which there are varying types to suit all budgets) so that maintenance and veterinary procedures may be carried out safely. Cattle are resilient animals but do require appropriate feeding along with routine worming and foot trimming as a minimum. You might be surprised to learn that insurance policies for farm animals are generally restricted to cases of mortality caused by specified circumstances and will not usually cover animals for routine vets fees where connected with call out charges, diagnosis or treatment. Some offer limited cover of this type but this can be subject to conditions and expensive vaccination programmes themselves. 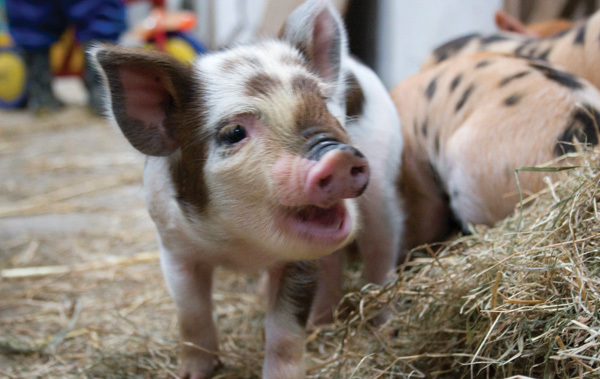 As far as I am aware there are no ‘pet’ type insurance policies that cover farm animals – even if they are kept as pets – although I would be happy to hear from anyone who does offer such a policy. If your livestock are pets or you are a breeder and your stock is of considerable value then the cost of veterinary diagnosis and treatment, especially if it becomes lengthy, may well be something you have factored in and accept as an unavoidable expense however, the fact is that, if you are running a small commercial concern, then you will also have to consider the best course of action for your business and this, in some cases, may well include euthanising a sick animal. Veterinary treatment can be expensive, it is after all private medical care for animals, and it’s easy to underestimate the costs of even routine maintenance so it is wise to talk to other local keepers, and your local veterinary practices, to get an idea of costs. These will vary wildly for call out, diagnosis and treatment across the country so local knowledge is indispensable in these circumstances. Find a practice that understands the needs of both your animals and your business, one that will teach you the skills and confidence to undertake the more routine tasks yourself and one that prices itself sensibly (even if they are not the cheapest) and you will have found a valuable asset indeed. 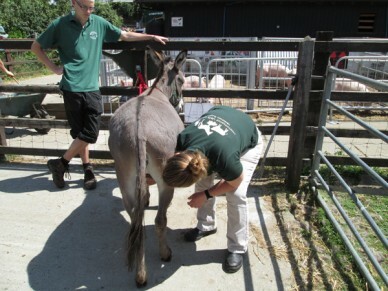 Hammond Vets is a mixed large animal practice in Stapleford, Hertfordshire, who focus on providing personal, approachable and affordable local veterinary care for smallholdings, farms and equine centres.